It is not rare to hear or read about attacks on the Bible. Some claim it is just some old book that can’t really be trusted. But what is the reality of the situation? What does one find when they take the Bible and put it against other writings of antiquity? 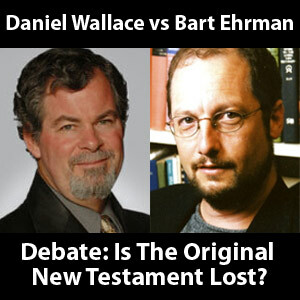 The following stats that I am about to quote are from Daniel B. Wallace given in a public debate in 2012 when he debated Bart Ehrman (Is The Original New Testament Lost?). “develop wide expertise in the period, topics, languages, and materials that you intend to blaze any trails in, or else base all your assumptions in these areas on the established (and properly cited) findings of those who have” (p.37). • Even though a lot of the manuscripts we have are fragments, the average manuscript we have is 450 pages long. • We currently have over 2.5 million pages of total manuscripts. • Number of Manuscripts dating back to the 2nd century: 18; 3rd century: 64 and 4th century: 48 for a total of 124 within 300 years of originals and all of the NT is found within these when you combine them (fragments of the whole NT is contained within the first 300 years of the autographs). • There are NO copies of classical writings within 300 years other than the NT writings. • 500 manuscripts come before 900 A.D. and 124 come within the first 300 years. • We have three times more NT manuscripts written within the first 200 years of the autographs than the average Greco Roman writings have within 2000 years. • Even if all we had were 124 manuscripts of the NT within the first 300 years; that would far surpass any other classical writings manuscripts! To say that the integrity of the New Testament manuscripts is powerful would be an understatement. There is no other book or document in antiquity that even comes close to the integrity and textual authentication than that of the New Testament manuscripts. Facts are important. I came across this meme in my feed and saw how others were propagating it. It is sad that we live in a society where a comedian can be looked upon as a scholar and authority in textual criticism. Unfortunately, I believe what is equally sad is that many Christians today couldn’t answer the fallacious and rhetoric-filled accusations that are in this meme. I have taught two 13 lesson classes on textual criticism and continue to realize the importance on why we as Christians have to be educated on this topic, especially when so much ignorance is being spewed. The New Testament writings are the most textually authenticated writings in all of antiquity. This isn’t a debatable or “Christian” accusation. This is a matter of fact based upon textual criticism and the evidence we have (Ehrman Vs. Wallace Debate: Is the Original New Testament Lost?, 2012). Consider the New Testament alone. We have three times more NT manuscripts written within the first 200 years of the autographs (original writings) than the average Greco Roman writings have within 2000 years (ibid). From antiquity, there are no copies of any writings within 300 years of the autographs (i.e., the original copies) other than the NT writings. So while no copies of any other writings exist within the first 300 years of the autographs, we have 124 manuscripts of the New Testament within the first 300 years of their autographs (18 copies from the 2nd century; 64 copies from the 3rd century; 48 copies from the 4th century; ibid, see also: Reinventing Jesus, p.75-103; Dr. Wallace). When most people speak of “contradictions” found in the manuscripts, what they are referring to is a textual variant. A textual variant is any place among multiple manuscripts where there is not a perfect uniformity of wording. The majority of variants in the Scriptures have to do with spelling differences, synonym differences, etc. In other words, it does not affect the meaning whatsoever. (Bruce M. Metzger, Manuscripts of the Greek Bible. Oxford: Oxford University Press, 1981, 53; and J Harold Greenlee, Introduction to New Testament Criticism, rev. ed. ; Peabody, MA: Hendrickson, 1995, 134 n. 2.). Today, it would be similar to writing “Would you like a apple?” versus “Would you like an apple?” It is certainly a variant, but has no impact on meaning. The majority of variants are similar and parallel (at least in principle) to this this illustration. On the other hand, there are variables that affect the meaning of the text and are viable. These are the most important ones. This is by far the smallest category of textual variants and only about 1 percent of all textual variants fit this category. However, this can be a bit misleading because out of all the meaningful and viable variants, none of them actually contradict the message of the text nor does it change any doctrine or teaching. Below are a few examples of viable variants that change the meaning of the text itself, but not the message or application. As you can tell, while these variants change the meaning of the text itself, there are zero variants that contradict the message of the text, or change any doctrine found in Scripture. Previous Post:DOES GOD’S GRACE COVER DOCTRINAL ERROR?